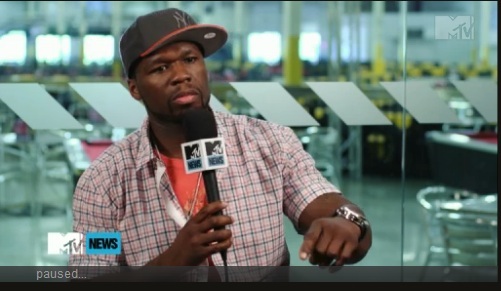 During a sitdown with MTV, 50 Cent speaks on his recent car crash. We spun off into the rail. We would’ve flipped if it was a regular truck, but the truck weighs over a ton because it has additional stuff in it. We were just riding down the LIE and a Mack Truck — he said he lost control of the vehicle later to police officers because his load shifted. He tried to brake, his load shifted, and he lost control and he ran into the back of the truck. It did more damage to the Mack Truck than it did to my truck, ’cause I got a level six; it’s a bulletproof vehicle. It’s the same standard as what they’re moving Obama around in.